Statement necklaces are totally my thing. I just love accessories. I have way too many (just don't tell my husband I admitted that). They way that a really great and dramatic necklace can take a mundane outfit and make it great is just awesome. I am planning on riding this statement necklace trend as long as possible. I am really keeping my fingers crossed that it stays around for a nice, long time. They can tend to be pricey, however, which is not so much fun. As I have said before, I really am not a fan of spending a lot of money on a style that could be gone in no time. But I would also suggest not spending any money on something that looks cheap. Spending even a small amount of money on a piece of jewelry that looks like it will fall apart any minute, is still a waste of money. This is especially true because there are so many resources out there where you can find amazing deals on great looking pieces that won't leave you with shopper's remorse. 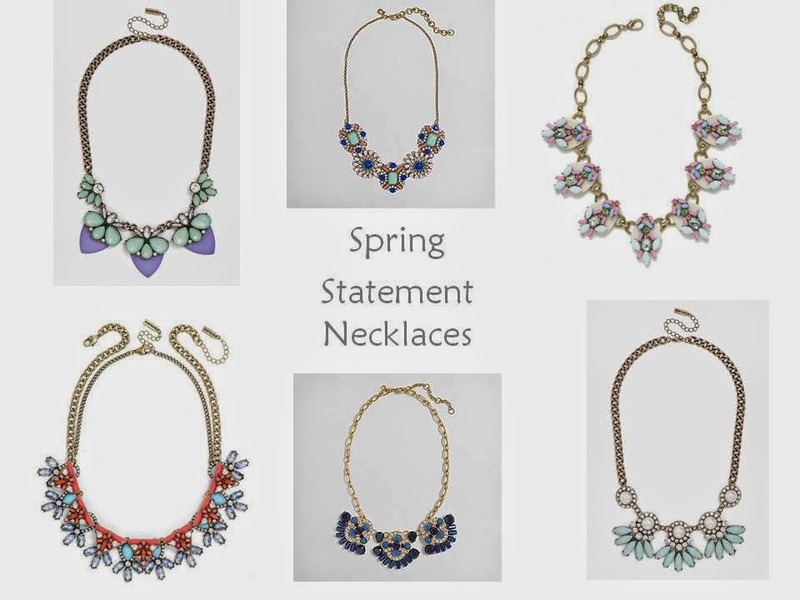 On that note, here are some great necklaces I have had my eye on lately. Top Row: 1. // 2. // 3. Bottom Row: 4. // 5. // 6.